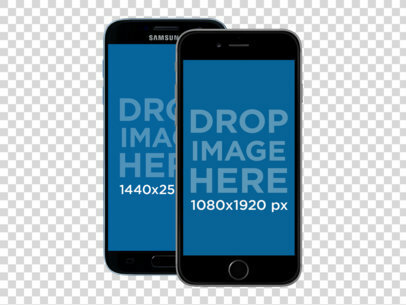 Looking to promote your latest app or responsive website using a beautiful Samsung Galaxy Note9 mockup? Use Placeit's! Featuring a gorgeous Midnight Black Samsung Galaxy Note9 with its matching S Pen, this mockup is a perfect choice for you to market your product in the best way possible. Excited about your latest product? 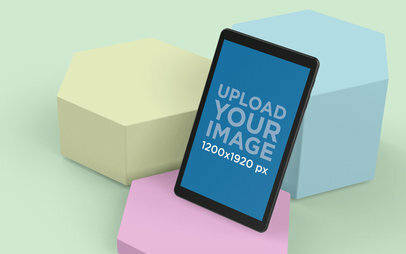 Use a beautiful mockup by Placeit to showcase it and amaze your audience by using a gorgeous visual asset. 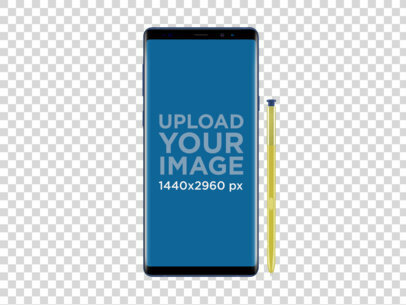 This mockup features an Ocean Blue Samsung Galaxy Note9 with its matching S Pen, standing out with its bold yellow. 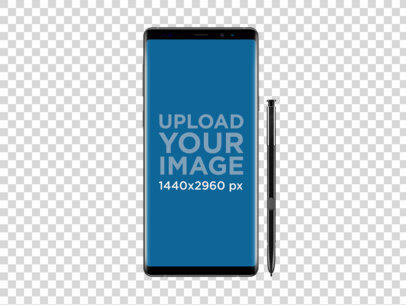 A visually astonishing image like this deserves an app like yours, market your product with Placeit's Samsung Galaxy Note9 mockup! 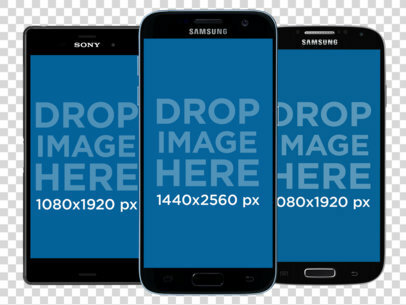 Using a mockup template when promoting your latest android app or website is a great way to showcase its top features and design to users and clients. 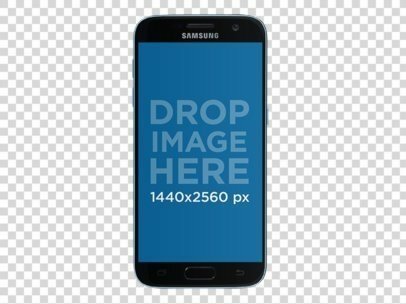 Adding your own app screenshot to an android had never been easier, just type a URL or drag and drop the image straight into the Samsung Galaxy S7 mockup being held in a portrait position. 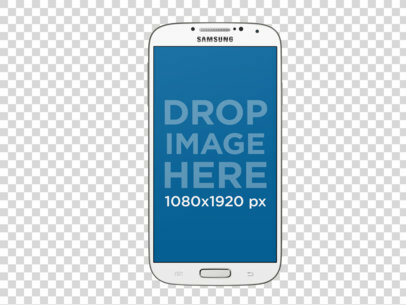 Showcase your new app on this great Android mockup featuring a white Samsung phone over a transparent background. Your app will look very realistic in it and you will save more money from your budget! 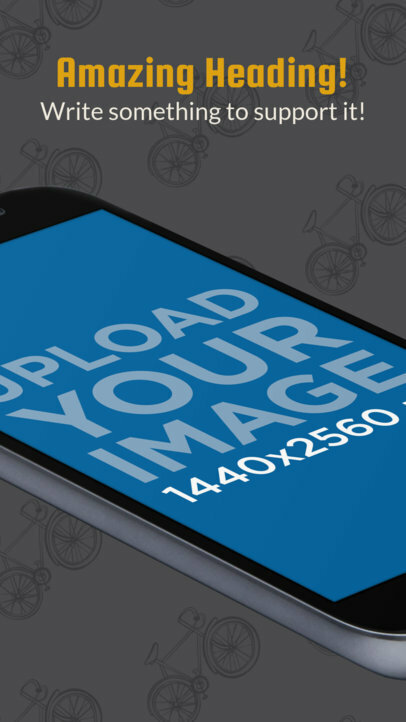 Simply drag and drop your image over the placeholder and a download will be ready for you in no time! Take a look at this gorgeous galaxy s9 mockup template, it's an excellent choice if you are looking for an awesome visual asset to promote your latest app! 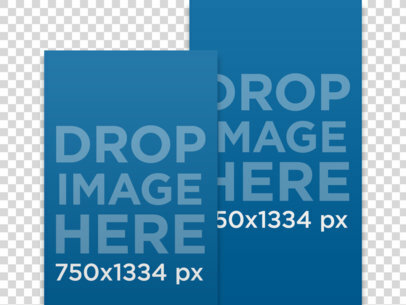 You just have to drag-and-drop your design image file over the upload button on the left. Simple, right? 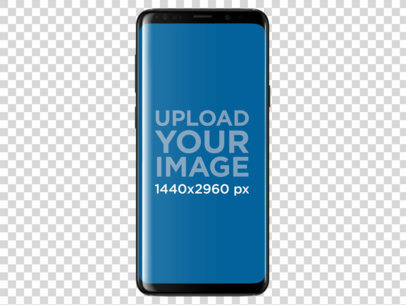 Use this free Galaxy S9 mockup from Placeit and make your revenue grow with awesome visuals. 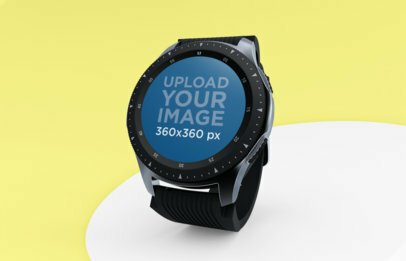 Try another Android Mockup! It’s time to take your marketing strategy to the next level with Placeit marketing tools. 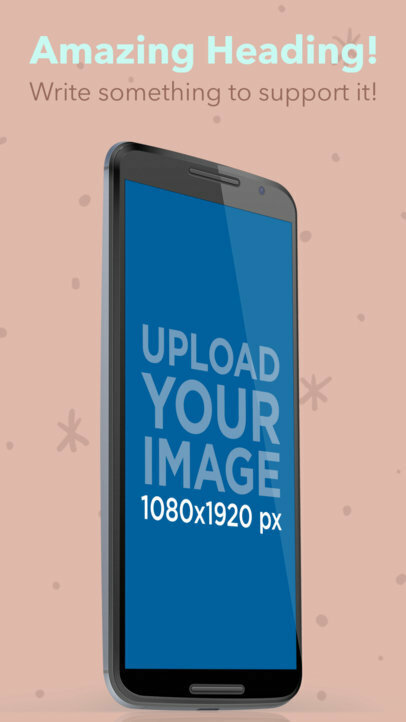 Show off your new android app with a professionally designed stock photo template. 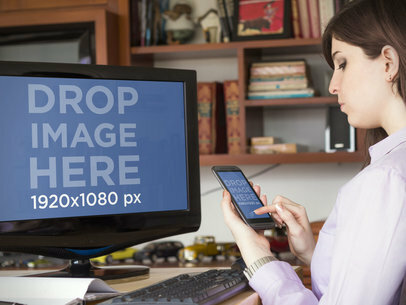 This Placeit android app marketing stock photo template features a young woman relaxing at home while checking out your new app on her black Sony Xperia Z3 she holds in portrait position. And she couldn’t be happier she’s found it. 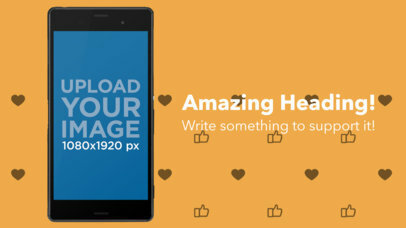 Whatever your app has to offer, get the attention you deserve. See this template in action by making a custom mockup now. 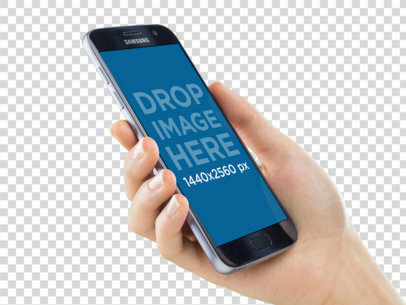 Just drag and drop a screenshot of your app directly onto the screen in the template, or you can click on the ""Grab Screenshot From URL"" button above the photo and type in the URL so Placeit can do it for you. 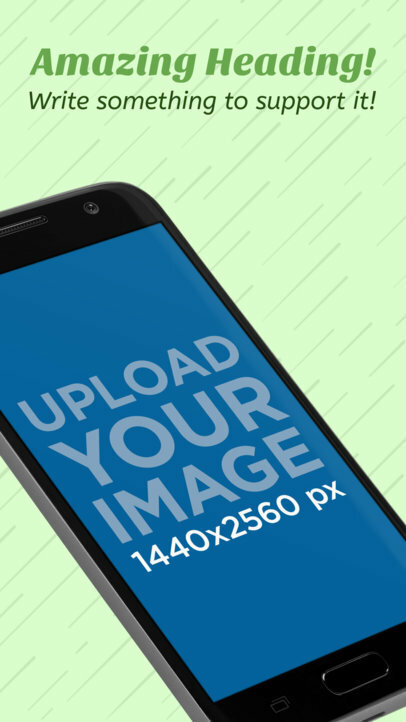 This android app marketing template comes to life when you make it your own. 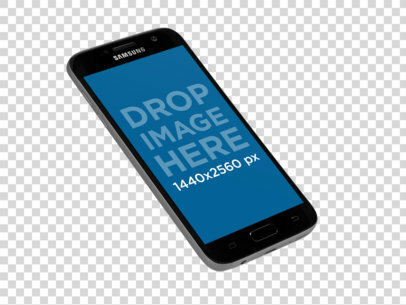 Showcase your latest Android app with this incredible Samsung Galaxy S7 phone mockup floating in angle position over a transparent background, cool shot right? 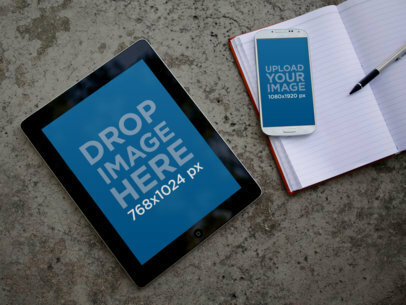 Just drag and drop your app image over this mockup template and you'll have a download ready in no time. 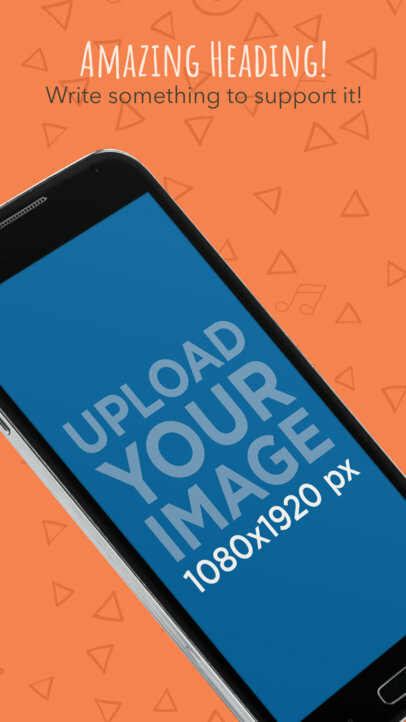 Do app marketing the right way with attractive visual assets made possible with Placeit's digital mockups. 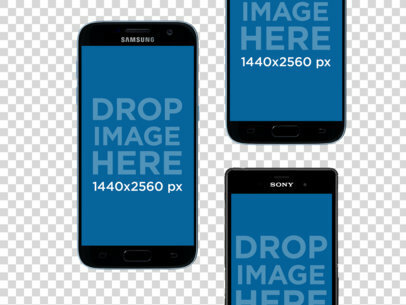 To see another Samsung Galaxy Mockup click here! 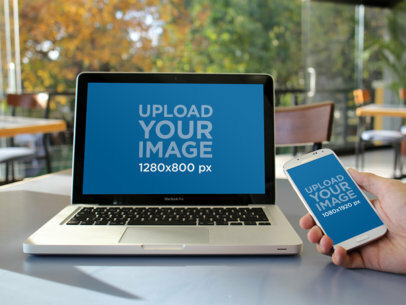 Now this mockup is perfect for showing the versatility of your app. In this scene we have a young couple on a date, sharing something with each other, on two phones. The casual, fun setting means this scene could work for so many different types of apps or mobile responsive websites. They could be sharing the newest social media app with each other, comparing dating profiles, exchanging photos or videos, etc. There's no end to the possibilities here. 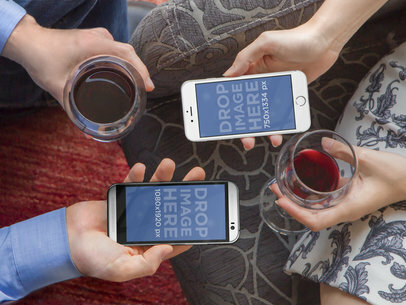 But what truly makes this mockup such a valuable marketing tool, is the fact there are two different types of phones. Here we have an HTC phone and the iPhone 6, both screens are perfectly positioned for you add your own screenshots. Plus, having your screenshot on both phones, means people will know that your app is a available in more than just the iTunes store. 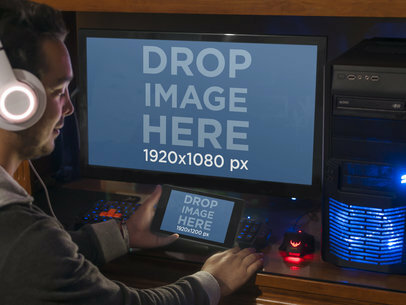 See more Responsive Mockups here! 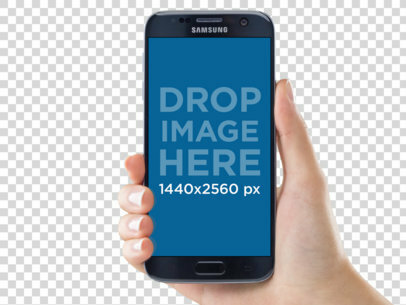 Trust this distinguished gentleman thumbing through your new website or android app on a black Samsung Tablet in this Placeit tablet mockup template, to make a lasting impression on your potential customers. He’s dressed to impress in black pinstripe suit pants and crisp white collared shirt but the most impressive part of this scene is your awesome new website or app we see front and center on the Samsung Tablet he holds in angled landscape position. Whether he’s in a hotel lobby, airport elite club or clients’ waiting room, he’s clearly on the go and at the top of his professional game with your new website in tow. 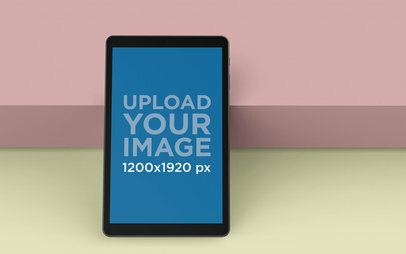 See this scene at its best when you make a custom mockup with Placeit android mockups. Easily drag and drop a screenshot of your app or website directly onto the screen or click on the "Grab Screenshot From URL" button above the photo and type in the URL and Placeit experts will alter it for you. 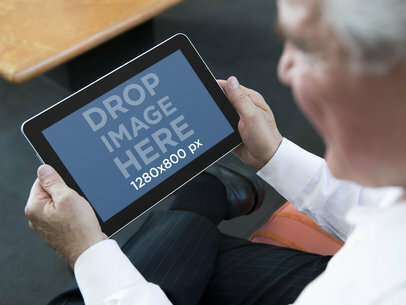 Sophisticated marketing tools are only a click away when you choose Placeit's stock photos. This Macbook stage features two different devices. We have a white Samsung and also a 13 inch Macbook pro featured in this stage. The Macbook pro is sitting on top of a table in a cafeteria or library setting. This stage could work very well for anyone trying get homework done. It could also work in any kind of school settings. You also see a beautiful fall background behind the Macbook! It's time for a new way to present your most recent app! 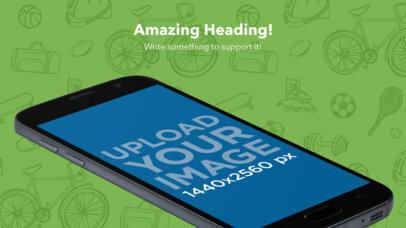 Stop struggling with stock photos and PSD files and start using this app marketing tool to generate mockups instantly. 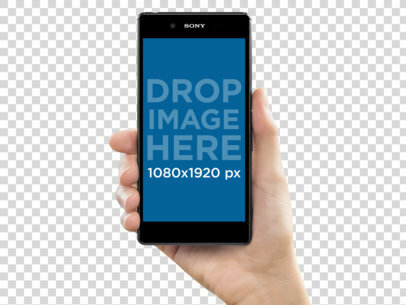 All you have to do is drag and drop your content over this template featuring a Sony Xperia Z5 in a white woman's hand, and your visual is good to go! Try it out now and save time, your budget will thank you, we promise. 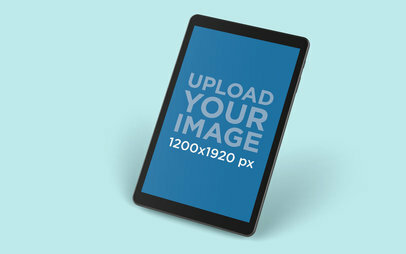 Get outstanding results with Placeit mockups, showcase your app now! 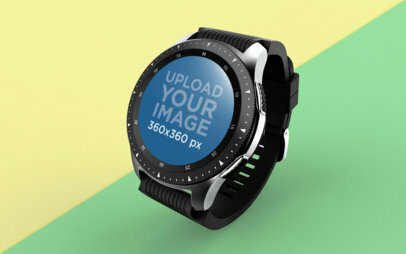 To see another Android Mockup click here! Check out this awesome mockup featuring two mobile screens against a transparent background, it's an excellent choice for you to promote your app or website in a friendly and simple way. 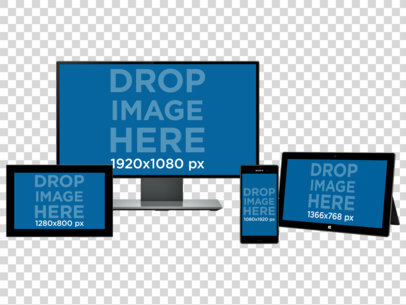 You can drag-and-drop a screenshot image file over the screen in which you want to put it, or just put a website by clicking on Screenshot from URL and selecting the screen. Super easy! Start now and make your revenue grow with Placeit! 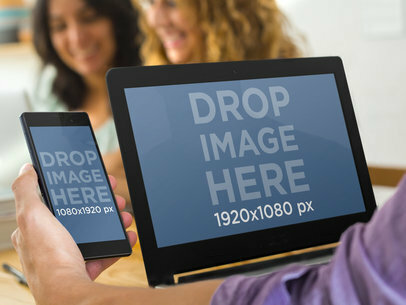 Try another Multi Device Mockup here! 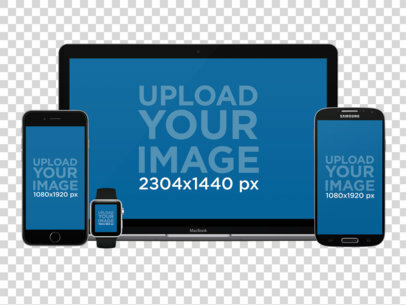 In need of a mockup that shows the versatility of your app? Then take a look at this scene from Placeit, featuring two young women, sharing something with each other, on two phones. The relaxed atmosphere means this scene could work for so many different types of apps or mobile responsive websites. These ladies could be sharing the newest social media app with each other, for example; or comparing dating profiles, exchanging photos, checking out the latest mobile shopping app, etc. There's really no end to the possibilities here. But what truly makes this mockup such a great marketing tool, is the fact there are two different types of phones. Here we have Sony Xperia and a Galaxy Note, both screens are perfectly positioned for you add your own screenshots. Plus, having your app's screenshots on both phones will show people that your site works with all kinds of devices. Being productive is one of the main characteristics of today's business environment. 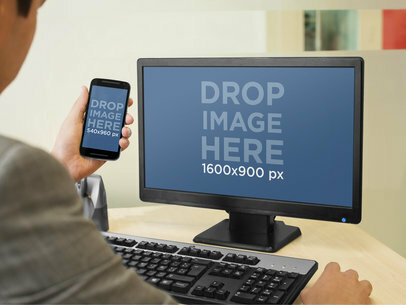 This multistage mockup perfectly represents that as we can see a handsome businessman using his black HTC One to make an important phone call while typing data on his iMac at the same time; he probably is even having a conversation with a coworker at the office, it is all about multitasking. The scene is set at a beautiful office and this man's desk is located next to a garden view window. You can use this amazing iMac and HTC One mockup to display your new productivity app or website in a real life scenario that will provide your potential users an insight on your design and features while using the app. 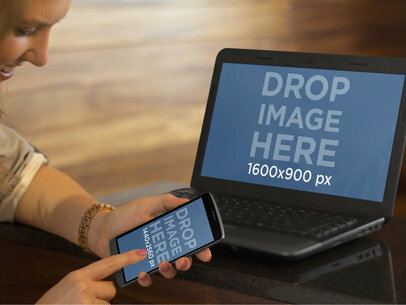 You could also promote your website with an Apple MacBook Mockup from this list. Get the attention your new android app deserves. It’s time to really take your marketing strategy to the next level with Placeit marketing tools. 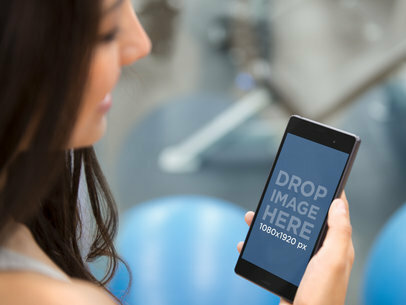 This energetic Placeit stock photo template features a young athletic woman checking out your new android app on her black Sony Xperia Z3 smartphone she holds in portrait position while at a gym. 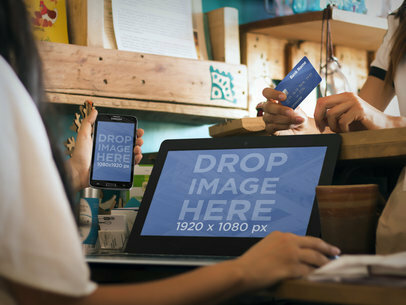 Whether it’s a calorie counter, workout motivator or meal tracker app you’ve created, appeal to your specific target consumer with this attractive Placeit stock photo template. Placeit app marketing software is fast and easy to use. 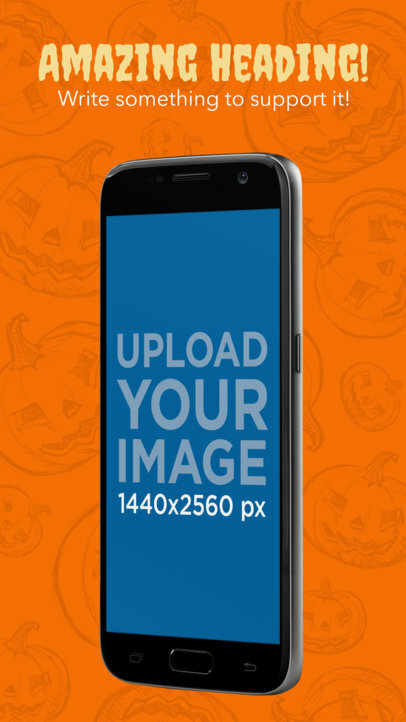 You can get a mockup of this template now by just dragging and dropping a screenshot of your new android app directly onto the screen in the template, or you can click on the "Grab Screenshot From URL" button above the photo and type in the URL so Placeit can do it for you. 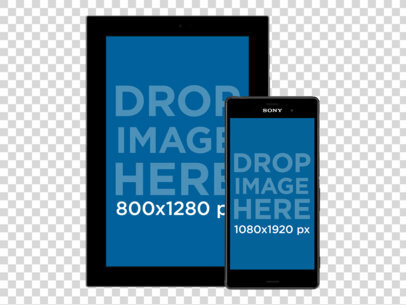 Be personal and professional with this Sony Xperia Z3 android app stock photo template. 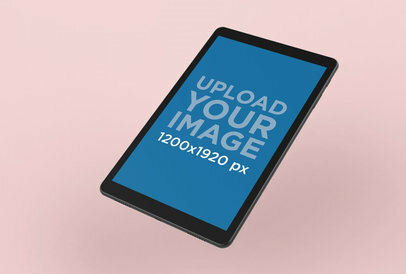 Get your app design noticed with this incredible realistic responsive mockup featuring two android devices in portrait position. 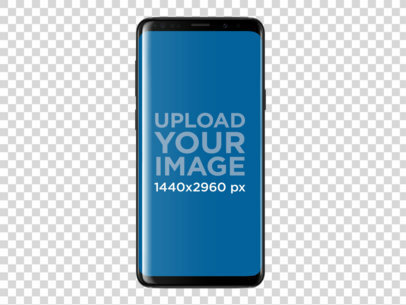 You can customize this template now by adding your image over the placeholders and wait for the mockup generator to do the rest. 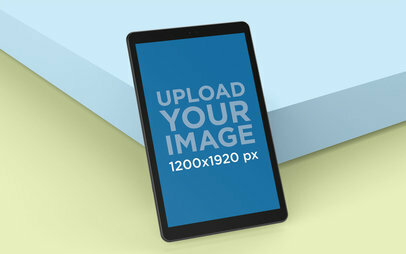 Try this mockup featuring an Android phone and tablet over a PNG background and plan your campaign in no time!